This was one of those meals born out of looking at a pile of stuff that needed to be used, and trying to figure out what to make with it. I had a bunch of cabbage, and chunk of leftover grilled lamb, and a few miscellaneous other vegetables. 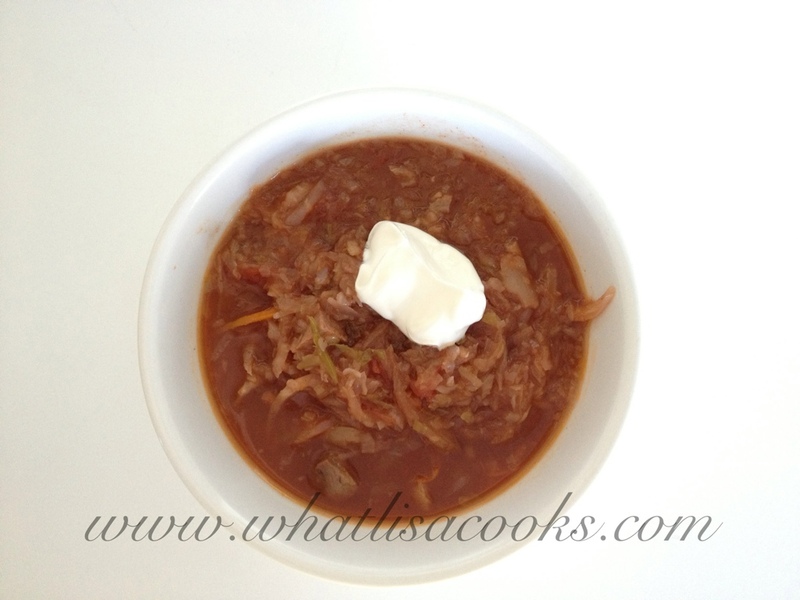 A Russian cabbage soup was suggested - perfect! I looked up a few recipes, and of course made it up as I went along. Cabbage - I had part of a green cabbage and part of a purple cabbage, added up to about a whole cabbage. Lamb - this was leftover grilled lamb, maybe a pound? I'm not quite sure. I cut it in cubes. Any kind of meat would work, even ground beef. And I think it would work fine without any meat at all. Tomatoes - one can of crushed tomatoes. I shredded all the veggies with the grating disk in my food processor, and put it all in the pot with the beef broth, garlic, paprika and a little salt & pepper. I let that simmer for a while until the veggies were getting soft. Then I added the lamb, diced into medium sized cubes, and let that all simmer a while longer until the lamb was falling apart. 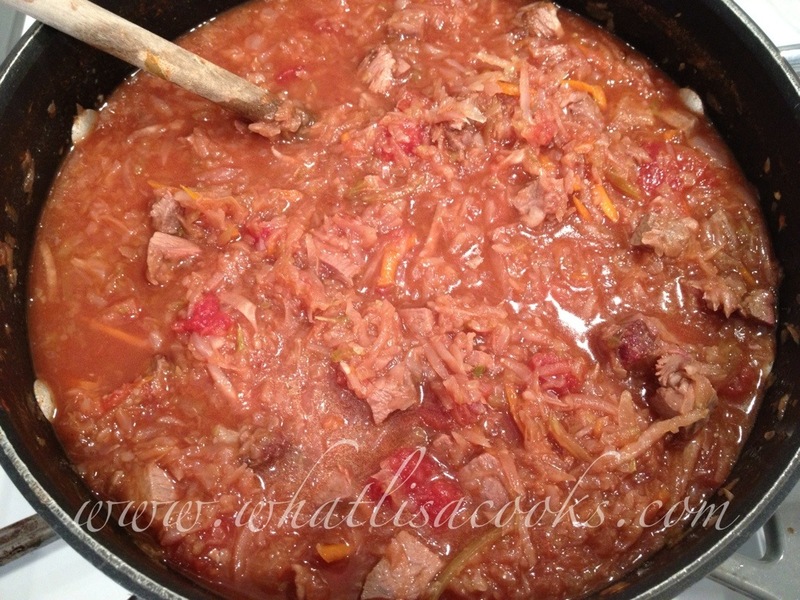 The flavor was really good - not what you might expect from a cabbage soup. And the texture was nice - different from what I usually do, because of the way the veggies were shredded. This would be great on a cold winter day. We had some with a dollop of sour cream on top. One of my three-year-olds inhaled a whole bowl at snack time.